How you can easily encourage others to pray? Many people aren’t sure how to get others involved in The 3 o’clock challenge. Well it is easy. If you are in a prayer group, simply ask your friends to make a promise to pray to our Lord, for 30 sec., at 3 o’clock, the hour Jesus died. For instance, you can start by saying, “Have you heard about the 3 o’clock challenge? Well, it is a nationwide campaign to promote daily prayer for 30 seconds at 3 o'clock pm, the hour Jesus died, and it also brings awareness to this Holy Hour. Did you know most people aren’t even aware that Jesus died at 3:00? Now, even if people don’t pray for the 30 seconds daily, they have just become aware of the 3:00 holy hour by the few words you have just spoken. God is so pleased, and that is amazing all by its self. Now, if the Lord could use you to encourage others to actually make the commitment to pray to God for the 30 secs., the world would change, since it would start to build a relationship with God….if you don’t pray…you don’t know God. If I don’t talk to you, I’m no going to know you either. A love for prayer will develop too and Our Lord will bless everyone for their prayers and respect shown to Him at the hour of His Death. I can’t express how easy it is to educate someone about The 3 o’clock challenge. Well for one thing you could share the website on Facebook. But I’m talking about simple life change, a change that would make you a constant disciple of Christ. This is our calling, and you would always be receiving Graces from God (the help you need in your life) for you loving service you are giving to Him. I mean I love God . I want to do this for Him. So, make a commit to God from yourself to tell at least one person daily about the 3 o’clock challenge. 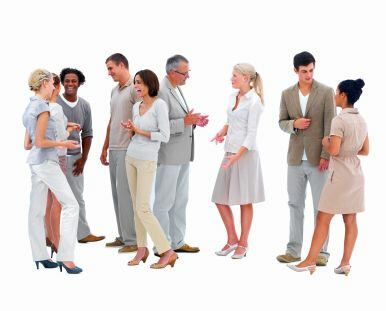 You come in contact with so many people everday (even your friends you socialize with on the internet, they count). Or like, the girl at the check-out counter in the grocery store. You know, give her that smile of Jesus’ love which is pouring out of you, but make sure you pray for a moment before you speak…because you know, we need God doing this through us…we are way to sinful. Anyway, then ask the Holy Spirit to speak through you, and when the girl responds with a smile in return simply ask her, “Hay, have you heard about the 3 o’clock Challenge?” Well, it’s a nationwide campaign to promote daily prayer for 30 seconds at 3 o'clock which is the hour Jesus died, and it also brings awareness to this Holy Hour, because you know what most people aren’t even aware that Jesus died at 3:00. Then she will say something and you can respond by saying, “here…while you hand her one of our information cards….Then you tell her, “you can go online and download a Free Prayer App. Which has an alarm that goes off at 3:00, and it shows a beautiful picture of Jesus (which by the way is the Divine Mercy Jesus) while the app counts down the 30 seconds…plus there is optional prayers to pray and what is really cool about the app. Is it counts all the times you pray and it gathers all of the other people’s prayers in the world who are praying with the app and it combines them all together and loads all of them up onto the website so we can see how many magnificent beautiful prayers are flooding heaven bring great praise to God…. Of course you will be saying whatever the Holy Spirit guides you to say…and I can tell you, joy will consume your soul. It is absolutely wonderful serving God and God will take care of everything, if we just say YES, Lord. To have a faith that produces works of our Lord is How God will transform it with His Love. So, go online to The3’oclockChallenge.com and click on Get Involved, fill out the form and we will send you free materials you can use to spread The 3 o’clock Challenge so God can use you to renew the face of the earth.